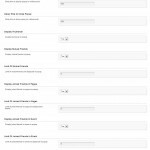 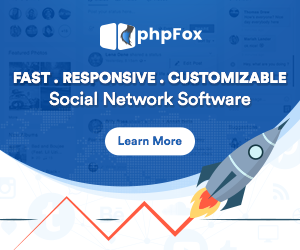 If you are tired of phpFox’s standard popup or you would like to make your site’s interface more attractive then Profile Popup is simply a right module that you cannot miss. 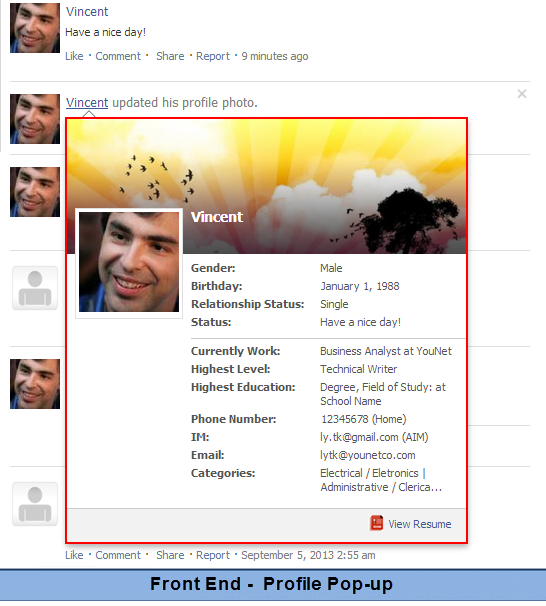 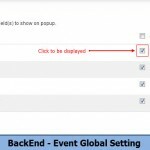 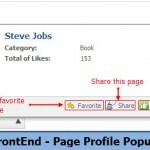 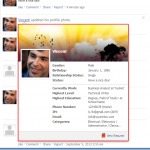 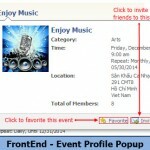 With Profile Popup, a small box will be displayed to show detailed information whenever users hovering mouse over a member’s name, a page’s name or an event’s name. 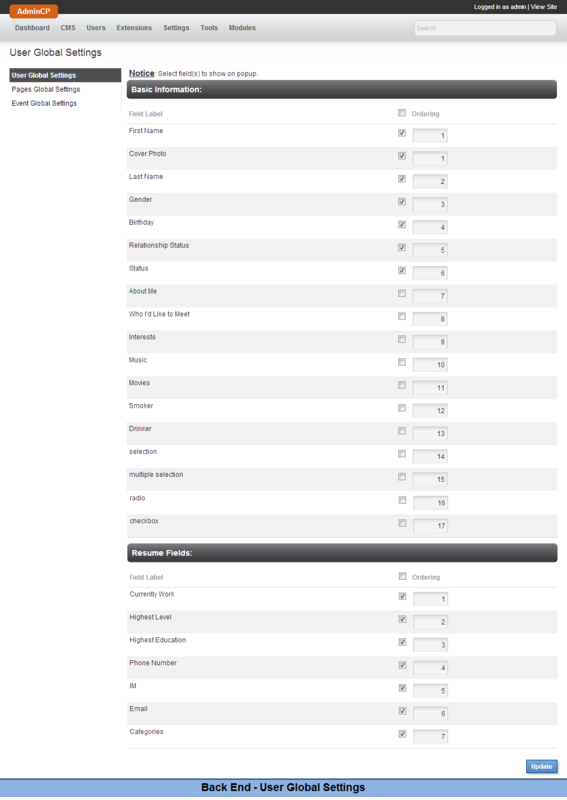 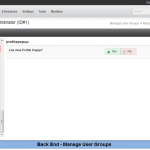 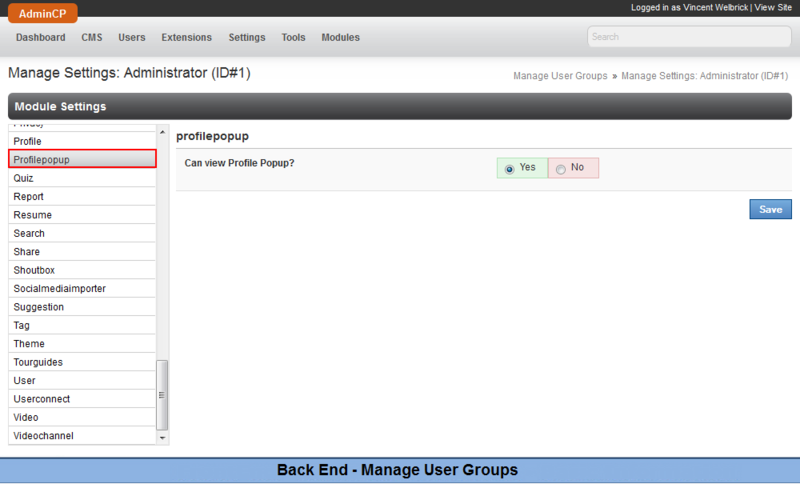 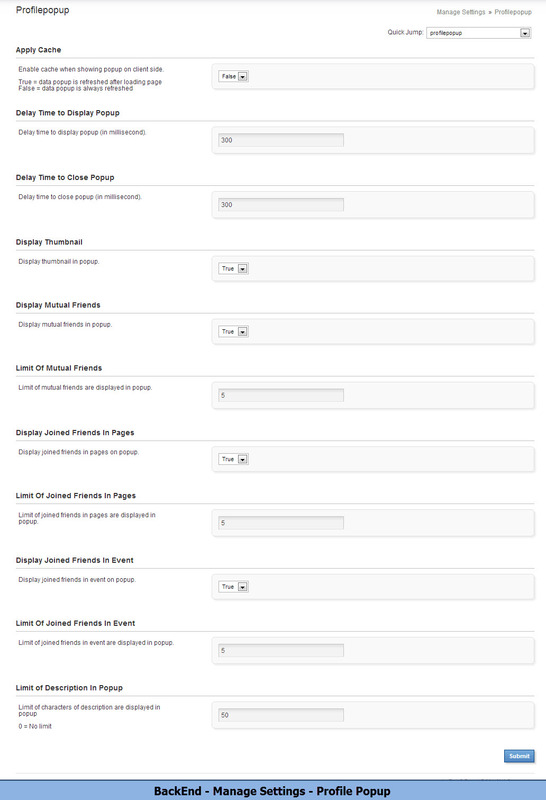 Admin of the site can completely and easily manage the pop-op content in Back End. 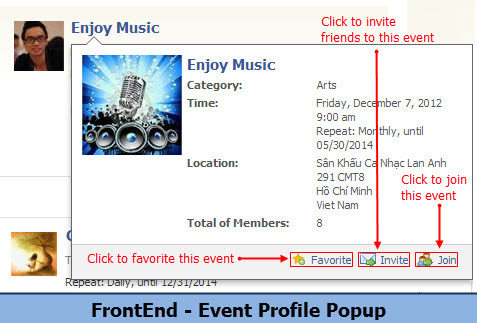 Invite: press this button to invite more friends to join in.